Well, I still haven’t heard back from the winner of Sharon Aswood’s Ravenous, so I’ve drawn a new winner. #10, wickedlilpixie – Congratulations!! 🙂 Please send me your snail mail info at sidhevicious@shaw.ca so I can forward it on to Sharon. If you haven’t already entered, I have a contest still going to win a copy of Amanda Ashley’s – Night’s Pleasure. Go to THIS post to leave a comment to be entered. Now on to some cool covers of upcoming books that I’m looking forward to! Rachel Caine’s sixth novel in the Morganville Vampire series, Carpe Corpus, is due to be released in June 2009. And if you have your copy of Lord of Misrule, there’s an excerpt in the back from Carpe Corpus! 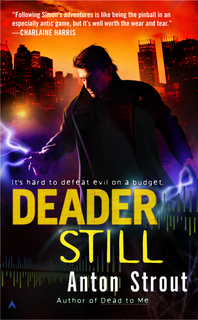 Anton Strout’s second book in the Simon Canderous series, Deader Still will be released next week on Feb 24th! Amber Benson, who starred as Tara on Buffy The Vampire Slayer, has a new Urban Fantasy book, Death’s Daughter, coming out on Feb 24th! Here’s a bit about the book from the publisher. Laurell K. Hamilton’s eighth book in the Meredith Gentry series, Divine Misdemeanors will be out October 27th, 2009! Beth Fantaskey’s Young Adult novel, Jessica’s Guide To Dating On The Dark Side, is already on the shelves, but I had to mention it because I’ve been hearing great things about it and am dying to get my hands on a copy! Lili Saintcrow ventures into the Young Adult arena with Strange Angels, due to be released on May 19th, 2009! I’m looking forward to this book as I am a huge fan of her other series. Just a quick post to let you know that I am in the process of writing up some reviews. I’ll also be putting up a quick list of January Releases, (my wishlist), February Releases, (again, my wishlist, lol), and some news and tid-bits I’ve come across. Actually, here’s a couple of new covers I’ve come across to drool over. Book 6 of Rachel Caine’s Morganville Vampire Series, Carpe Corpus. 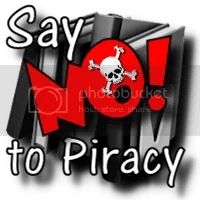 The release date is June 2, 2009. I can’t wait! J.F. Lewis’s, ReVamped, the sequel to his amazing Urban Fantasy debut, Staked, will be hitting the shelves on March 10th, 2009! Strange Angels, which is Lilith Saintcrow’s foray into the Young Adult market, I believe her first, has me wishing for May 19th, 2009! Richelle Mead’s follow up to Storm Born in the Dark Swan Novels, is Thorn Queen. It’s a bit of a wait until August 2009, but I loved the first book and am looking forward to this one!